The importance of memorials as a means of commemorating the life of a loved one is universally recognised and we support this view. Therefore we wish to permit you to have the widest possible choice of memorials to fulfil this need. For this reason the we has liaised and networked with local memorial masons together with The National Association of memorial masons and the British Register of Accredited memorial masons, to ensure that the widest possible range of designs and materials are available when choosing a memorial. The actual size and design of the memorial will depend upon the location of the individual grave. Your memorial mason will be fully aware of the regulations for each section of Llanelli District Cemetery and will be able to advise and guide you in your choice. It’s vitally important that memorials are manufactured to a satisfactory standard and are installed safely to satisfy nationally recognised standards (BS8415) therefore we maintain a register of memorial masons permitted to operate within the cemetery. To be accepted on the register memorial masons must have achieved the recognised standards to obtain and maintain a licence from The National Association of memorial masons or the British Register of Accredited memorial masons. You can obtain a list of all memorial masons authorised to work within the cemetery from the website or from the cemetery office. We maintain a continuous monitoring and testing programme for memorials. 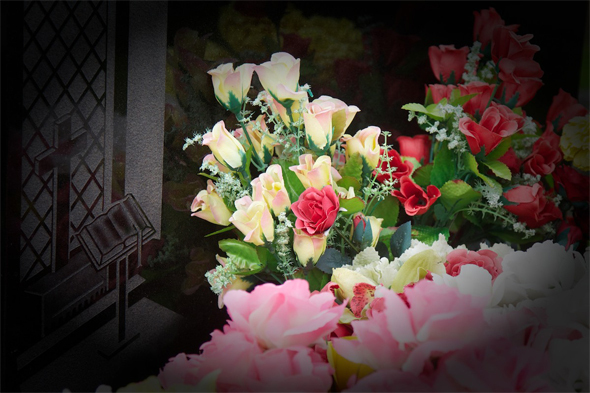 Our memorial safety programme does not generate any income for the cemetery and in fact represents a considerable cost; however safety within the cemetery is of the utmost importance. Our policy and procedure for testing the stability of memorials follows national recognised guidelines.